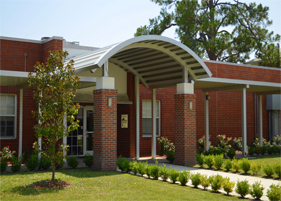 Sunshades are a wonderful addition to any type of building, giving you a cost effective way to enhance your structure with a number of added benefits. Not only are sunshades extremely customizable, they can fit just about any type of structure, whether it’s for a restaurant or an office building. 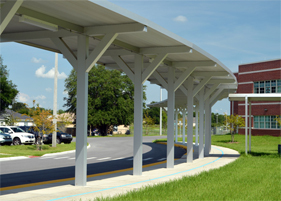 Whether you are just adding a little aesthetic enhancement to your building or you want to save energy costs, there are many benefits to incorporating sunshades to an existing structure. They provide energy-saving benefits. Sunshades can offer between 30% and 60% reduction of direct sun absorption, and can reduce the amount of heat that the building absorbs. This results in less energy used to cool down the building! Sunshades can protect from UV rays. If you’re taking a break outside, standing under a sunshade can provide you protection from the sun while enjoying a beautiful sunny day. This is a perfect addition to any office building for those taking breaks or lunches outside. Aluminum sunshades are affordable and lightweight. 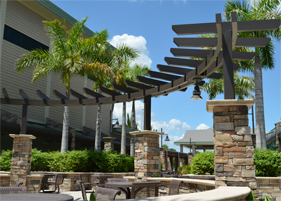 They also add a nice touch to the look of a structure and can be installed just about anywhere. 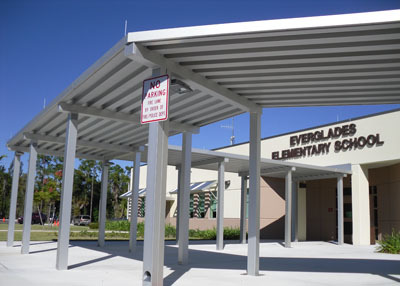 Sunshades are very customizable, and can be designed to match the look of your building. 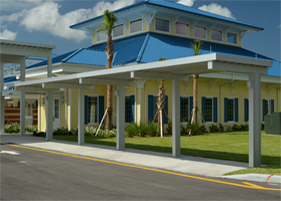 Whether you are looking for a sunshade for aesthetic purpose or for money saving benefits, Perfection Architectural Systems helps you incorporate customizable sunshades into any type of project. Call us today at 800-238-7207 to get started on your next design!